Jorhat is home to many governmental as well as non-governmental organizations which offers various services to its people. There are services like postal, traveling passport, medical hospital services, ambulance care, telecommunication services, electricity services and other more services which have their offices across Jorhat. These offices provide good facilities for the people of Jorhat. 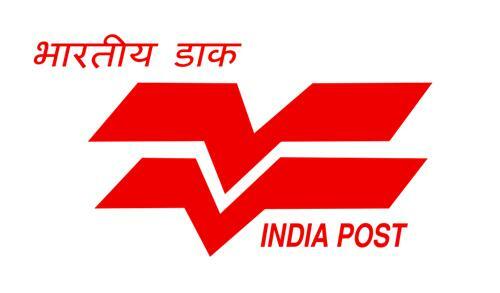 The Indian Postal Service, the leading postal head has their branches in Jorhat. The Indian Postal Service provides both postal and courier services in Jorhat town. The branch office works in coordination with the Meghdoot Bhawan, which is the head office of postal services in Assam located in Guwahati. There are many post offices located across Jorhat town under Indian Postal Service. In addition to that, there are many private courier agencies like Blue dart, DTDC and Aramex providing good courier services for people of Jorhat. The Assam State Electricity Board (ASEB), which is the head electricity services across Assam, has their regional office located in Jorhat. The head office of ASEB, Bijulee Bhawan is located in Guwahati and the regional branch in Jorhat works in coordination with the head office. The ASEB office in Jorhat coordinates electricity supply and requirement issues in Jorhat town and the nearby towns. In addition to that, it manages the electricity generation and transmission. The electricity department in Jorhat has online bill payment facilities where customers can easily pay their electricity bills online from their homes either through net banking, debit cards or credit cards in form of online payments. One can get the bills at www.apdcl.gov.in, where one can check or print them and get receipts after payments. Banks being the prime financial institutions of banking and transactions, there are many banks located across the town of Jorhat. These banks provide services to the people of the town by accepting deposits, providing loans and by helping the people to manage their money. Banks are one of the prime utility service institutions of Jorhat. The town of Jorhat has many national banks like nationalized banks, government run banks and also private banks located across the town. State Bank of India, the country’s largest commercial bank, has many branches spread across the town. Apart from that, there are a number of other banks like Central Bank of India, HDFC Bank, ICICI Bank, IndusInd Bank, Federal Bank, Bank of India and other banks with branches in Jorhat. The banks also have ATM services in Jorhat. Hospital services are the prime requirement services for any town or city. The hospital services are important during any emergency, accident or other required medical help. Jorhat town has many hospitals, nursing homes and medical facilities providing medical facilities to the people of Jorhat. The hospitals here are well equipped with medical technology and also have well maintained staff. There are also good labs and pathology centers in Jorhat for conducting medical examinations. The medical facilities have many departments as emergency, ENT, OPD, and maternity along with other branches providing better medical services. Some of these hospitals in Jorhat include Jorhat Medical College Hospital, Sanjivini Hospital, RDRC Hospital, JR Hospital, Jorhat Civil Hospital and JS Hospital among others. There are also ambulance services in Jorhat for emergency medical requirement. The 108 free medical ambulance services in Jorhat is provided by the Assam Government and is a fast and well equipped emergency ambulance service. A person can easily call an ambulance by dialing 108. The ambulances are equipped with oxygen cylinders and good medical equipments for faster treatment. The municipal services of Jorhat are managed and provided by the Jorhat Municipal Board. The Jorhat Municipal Board was constituted in the year 1909 and provides civic amenities and municipal services to the people of the town of Jorhat. It also looks into sanitation & health of people by stressing on garbage management, proper solid waste management, waste disposal services and water drainage system along with looking into street lighting, cleanliness, germs fighting and other such issues. The telecom services in Jorhat are provided by the BSNL dealer located in the town and provide both telephone and internet services to the people of Jorhat. There are also many other telecom networks in Jorhat like Reliance, Vodafone, Aircel, Airtel, and Idea providing cellular services for people. There are also internet services provided by these networks in Jorhat.